Authorities respond to a carbon monoxide leak int he 11300-block of South Church Street Saturday night. CHICAGO (WLS) -- One person is dead and two others injured after a carbon monoxide leak at a home in the Morgan Park neighborhood. 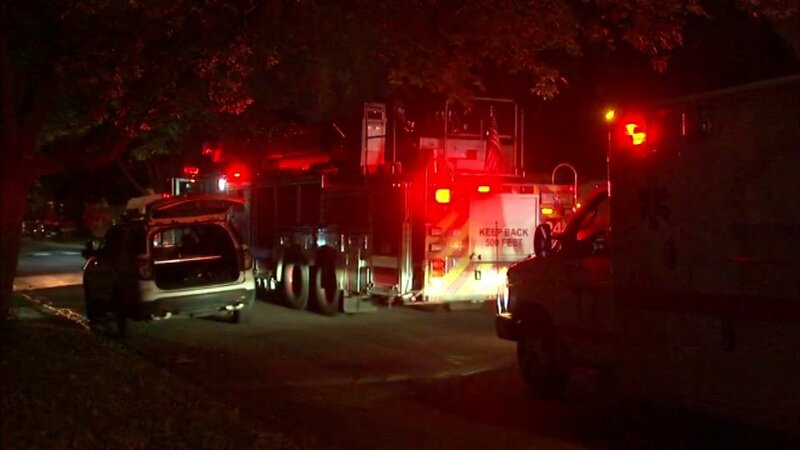 The poisonous gas filled the home in the 11300-block of Church Street and HazMat teams rushed to the scene around 9:30 p.m., Chicago Fire Media said. One woman was found dead inside the home. She has been identified to the the Cook County Medical Examiner's Office as 62-year-old Linda Russell. Another woman was hospitalized in critical condition and a man was hospitalized in stable condition.